Raw chocolate coated raisins mixed with sultanas, goji berries and cashew nuts. 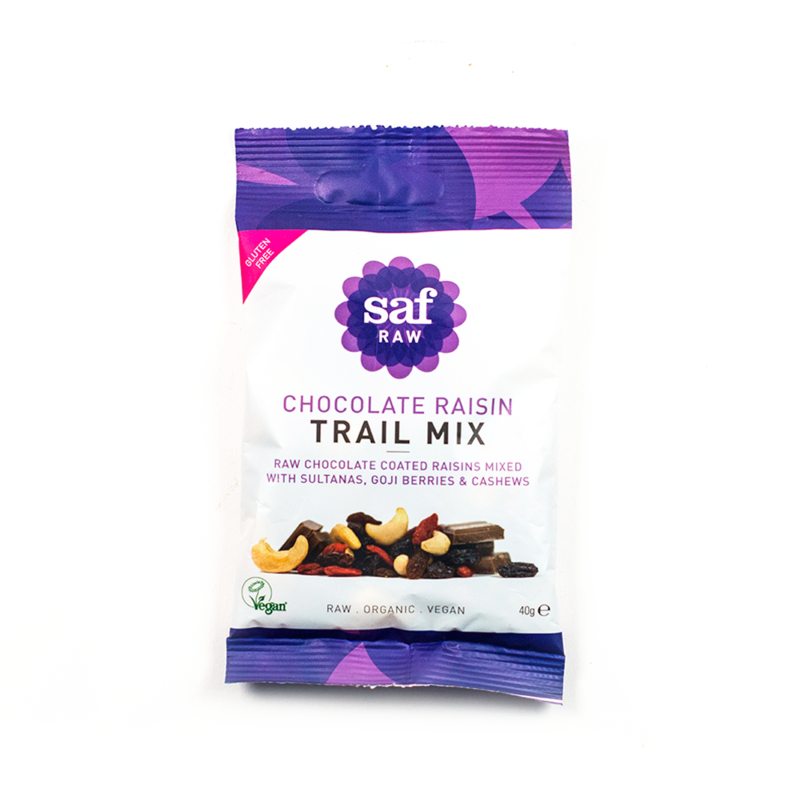 Saf Life's raw, handmade, and gluten-free chocolate trail mix vegan snacks, a great source of protein and fibre that's packed full of nutrients and minerals. All of Saf Life's snacks are made by hand and dehydrated in their state-of-the-art production facility, following SALSA and Soil Association procedures. By making their snacks at 46°C, they preserve flavours and their energy-giving enzymes so that vital vitamins stay intact. Delicious healthy products, loving the granola Apple bites.